When you reach the top part of London Eye, you can view the things below in 25 miles away. Another top part in London that you can see is the Windsor Castle. There are several architects designed the London Eye. Some of them include Julia Barfield, David Marks and Mark Sparrowhawk. The construction completes in seven years. London Eye is visited by 3.5 million people all over the world. On every revolution, it can carry 800 people. Each revolution of the Ferris wheel can last for about 30 minutes. Check more attractions in the city by reading London facts. The Ferris wheel is equipped with 30 capsules. Each capsule has the weight of 10 tones. It can accommodate 25 passengers. 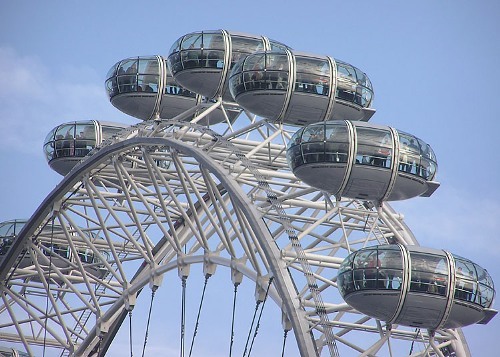 Many people are comfortable when they are on the capsule of London Eye because it is equipped with seats and air conditioner. But the passengers can walk around the capsule. The height is London Eye is around 135 meter. It is considered as one of the tallest buildings in the London. Millennium Wheel is the nickname of London Eye. Since its first introduction, it was called as Millennium Wheel. 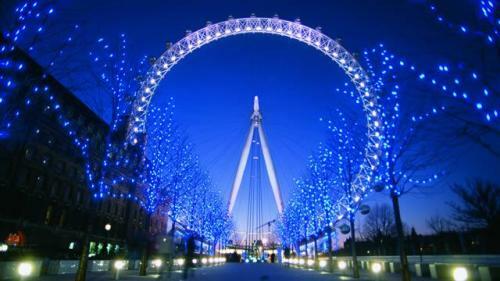 Many people consider the London Eye as the focal point of London. 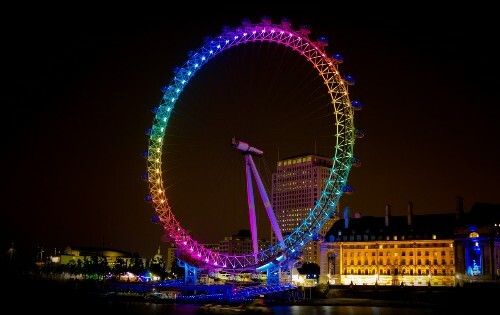 The wedding of Prince William and Kate Middleton looks glamor and festive when London Eye was colored in Union Jack. In the New Year, you can enjoy a good focal point for a firework celebration. 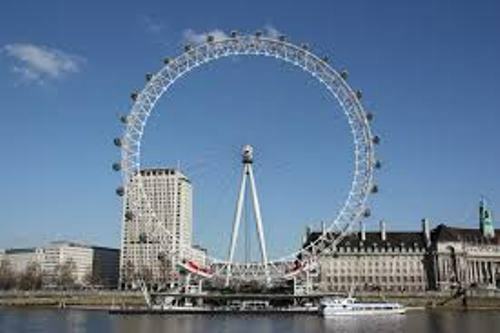 Can you estimate the weight of the wheel in London Eye? It has the height of 23 meter and the weight more than 300 tones. The Great Wheel is the first big wheel located in London. In 1895, it was created in London for the Empire of the India Exhibition. After the Great Wheel was used by more than 2 million people, it was demolished. London Eye can attract not only the usual people, but also some celebrities. Do you know that Kate Moss has been on the Ferris wheel for 25 times? 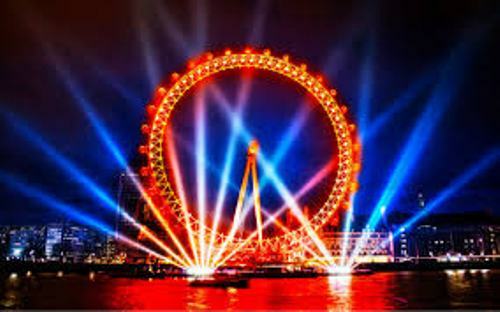 The celebration on the first visit partnership was in December 2005 where London Eye was seen in pink color. Do you have any objection on facts about London Eye?